Calgary to New York City - $265 CAD roundtrip including taxes | non-stop flights, new record! WestJet has dropped the price of some of their non-stop flights in November and December from Calgary to New York City down to $265 CAD roundtrip including taxes. The flights are in and out of New York's JFK airport. This is a new record for the cheapest flights from Calgary to New York City, beating the previous record of $293 CAD set back in 2014. Update @ 6 PM EST - Air Canada has now dropped the price of their non-stop flights from Calgary to Newark (EWR) down to $265 CAD roundtrip including taxes on dates in November and December 2017. New York City (NYC) to search all of New York's airports at once. Nov 30 to Dec 5, 12 -- $223 USD / $286 CAD (Air Canada to EWR) *new! Dec 2, 3 to Dec 5, 12 -- $223 USD / $286 CAD (Air Canada to EWR) *new! Dec 4 to Dec 12 -- $223 USD / $286 CAD (Air Canada to EWR) *new! 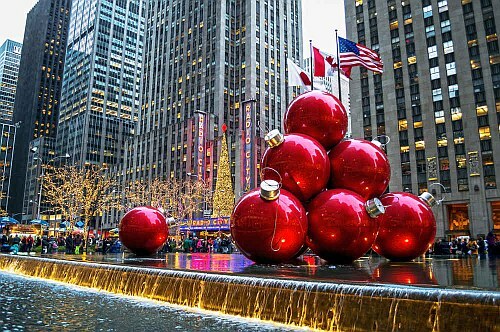 Dec 7, 8, 9, 10 to Dec 12 -- $223 USD / $286 CAD (Air Canada to EWR) *new! On Priceline, the price will show up as $205 USD roundtrip including taxes. Priceline is *always* in $USD. calgary, yyc, united states, flight deals, westjet, new york city, north america, jfk and nyc. 2 Responses to "Calgary to New York City - $265 CAD roundtrip including taxes | non-stop flights, new record!" Thank you for this site. I realize it takes hard research. I have made use of the deals and will continue to do so. Thanks Jorn, that is definitely appreciated. Thanks for checking it out!